Can’t get enough Nissley wine? Discover where you can purchase your favorite Nissley wines at a grocery/convenience/retail store near you. Simply input your current address or zip code along with the wine you are looking for. Please call the store directly to confirm they have what you want in stock. 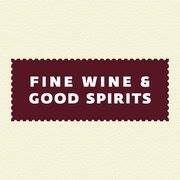 For availability at your local store, use the handy Wine Locator on the PLCB website www.finewineandgoodspirits.com. If your local store does not carry the wine, you might ask the Store Manager or Wine Specialist if it can be ordered. When you visit a PLCB Store, look for Nissley Wines in the “Pennsylvania Wines” section. Prices are comparable to the prices in our own shops, except that the PLCB does not offer quantity discounts, their promotional offers will not be the same as ours, and price changes might not coincide precisely. 3506 Capital City Mall Dr.
© 2016 Nissley Vineyards. All Rights Reserved.